Asas Festivals Manager and Galas & Fundraisers Specialist, Hannah Kitzerow’s technical aptitude, customer-centric focus and commitment to her dynamic role are rooted in her 10+ years with Saz’s Hospitality Group. Hannah joined the Saz’s Festivals division in 2004, working Milwaukee’s biggest summer events, where exceptional customer service and hard work are crucial to Saz’s continued success. Hannah plays a crucial role as Festivals Manager as she is heavily involved in the interviewing and hiring of all Festivals staff, as well as assisting in their training and development. When Hannah is not managing Festivals operations during the busy summer season, her responsibilities include assisting with the daily bookkeeping for Saz’s State House, organizing and maintaining a database relied upon by every member of the corporate team, and aiding in the development and execution of sales initiatives for Saz’s Catering.  Such a versatile role requires a clear understanding of Saz’s employee culture and commitment to being a leader in the hospitality industry. Hannah’s caring and easygoing, yet tenacious, disposition make her the perfect fit for such a role and an invaluable asset to the Saz’s team. Away from the office, Hannah enjoys spending time with her family and friends, working with non-profit and community groups, and discovering new places to explore around town. Hannah demonstrates her desire to excel and become more involved in the inner workings of the business through her natural curiosity for learning and an eagerness to assist in Saz’s continued growth.